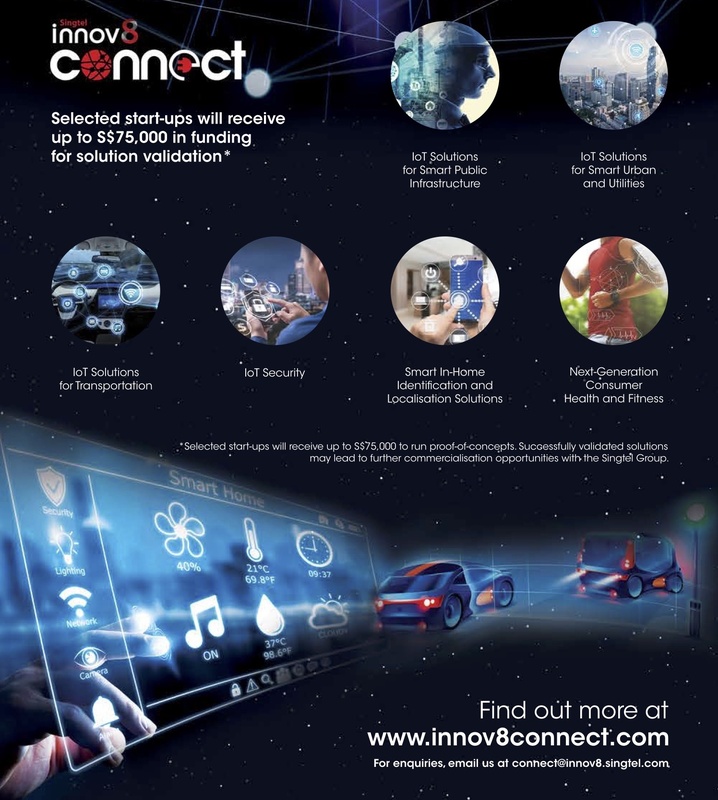 Singtel Innov8 has launched the third round of the Innov8 Connect program. Singtel published 6 IoT challenges, and will award S$75K SGD (~55K USD) towards a pilot with relevant companies which could lead to a commercial agreement with Singtel. Kindly note that the application deadline is August 5, 2018.